Diana is a native Texan born and raised. She has been working in the veterinary field for about 2 years. She currently shares a household with her long-time boyfriend, Juan and her 3 year old Pit-bull named Abby. While Abby can be a handful to say the least, she is hoping to get her a playmate when she moves into a bigger home. She graduated in 2009 from McKinney Boyd High School and is currently perusing a degree in Social Work. She has several nieces and nephews that always entertain and keep her busy! She is very family oriented and prefers to spend her weekends having a barbeque or going to the movies. She loves to watch anything from horror to comedy. 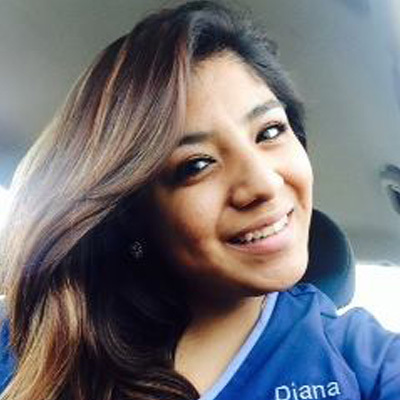 Diana has been with BPAH since 2014.